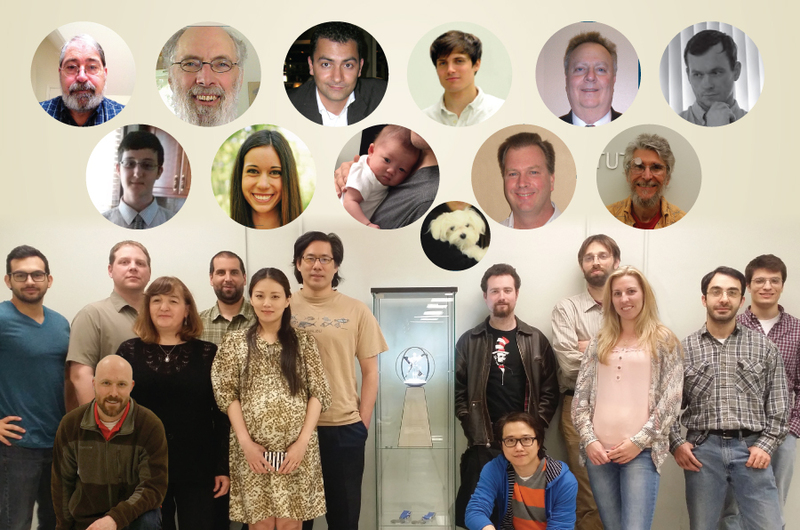 After 6 intense weeks of working around the clock, consuming gallons of coffee, endless pizza deliveries, and countless sleepless nights in the lab the team was finally able to celebrate the final submission of the 30 rHealth units to the Tricorder XPRIZE on mid June. DMI is beyond proud to have such dedicated and exceptionally talented people on their team and would like to thank everyone for their tremendous input. Eugene Chan – CEO and Head Scientist. Background in business and science. The Captain Kirk in this ship. Dexter Eames – Electrical Engineer, also incredibly well versed in carpentry and international folk music. William Phipps – our Doc. A comfy office chair became his bed many times. Bill Bauer – Software Communications Specialist. Had his spot in the conference room and no one was allowed to mess with it. Andy Bell – Research Associate – he specializes in assay development and growing long beards. Samuel Bearg – Instrumentation Specialist – he likes to burn the midnight oil. Wieke von Scheidt – Business Development Associate who speaks German and Business, while she eats three times her weight in her more-than-10-meals-daily-diet-plan. She usually sees herself obligated to heated discussions about the pronounciation and spelling of her name with delivery personnel. Metka Shooteech – Office Administrator. Kept track of everything and everyone. Alan Shooteech – Intern. Newest fresh set of brilliant neurons for the team, and really good in spanish according to mom. Daniel Rae – Intern. Made sure all parts and pieces had their place. Chung Bae– Optical engineer. Loves to work in the dark and lonely room, and self-proclaimed jack of all trades and master of few. He loves his dog, mimi. Marcus Atkin – Industrial designer lives miles across the big pond but that didn’t slow us down. Matt Kirleis – Physicist who ensured the device complied with the laws of the universe. Max Kalashnikov – Biophysical Scientist who understands the complicated stuff. Jacob Ashtar – Signal Analyzer made sure that we did not sent the wrong signals. Carlos Barrientos – Graphic Designer. Our creative mind, was the only one who knew how to properly order pizza for the team. Ask him about his salsa abilities. Sara Lamacchia – Biology Intern. Energetically helped with everything and anything. Candice Bae – Scientist I and new mom. She had the toughest job, delivering her beautiful daughter during crunch time. Baby Nana – Little helper. Slept around the clock so mommy and daddy could work. Kevin McKenna – Software Developer. Likes to develop software and good relationships with team members. Glen Emlock – Regulatory Consultant. Liked a quiet corner and a good cup of coffee. Chris Aiston – Industrial Designer. Lives deep in the woods but was happy come to visit DMI often. Scott Reed – Software engineer. Our wisest team member.